Around 400,000 patients throughout the United States have kidneys that do not function. These patients are treated with dialysis, unless or until they are able to have a transplant of a healthy kidney. The purpose of the dialysis is to pump the blood out of the body, filter it of waste and return it to the body. Unfortunately, there are some risks for dialysis patients and one great risk is that a needle or tubes could become dislodged during dialysis. Our Boston dialysis malpractice attorneys are concerned that many patients are unaware of the serious dangers associated with a dislodged needle during dialysis and are troubled by reports that some clinics don’t follow safety regulations to protect their patients. We urge every dialysis clinic to follow safety rules requiring that the needles and tubes connected to the body remain visible. We also urge patients to be alert and aware of a dislodged needle so they can avoid a deadly risk and urge lawmakers to institute tougher rules that could help prevent more patients from suffering harm. The importance of following safety rules and monitoring the dialysis process were discussed in a 2010 article on ProRepublica. According to the article, a woman undergoing dialysis at a storefront clinic nearly died when the clinic failed to properly tape in place the tube that was putting the blood back into her body. Instead of re-entering her body, more than ¼ of the patients’ blood pooled beneath her on the floor. This gruesome story was not an isolated incident either, as a ProPublica investigation discovered. While they indicate that no one knows for sure how often dislodged tubes or line separations occur, a 2007 safety survey conducted by the Renal Physicians Association did reveal that it wasn’t uncommon for the needle to dislodge during treatment. 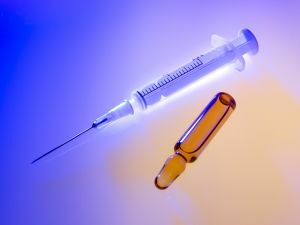 In fact, five percent of the patients responding to the safety survey reported that they had experienced their needles becoming dislodged during the prior three months. When either a needle or a tube is not properly in place, a fatal hemorrhage can result. Patients undergoing dialysis are typically already suffering from health problems due to their failed kidneys and cannot afford a significant loss of blood as a result of the failure of the clinician providing the dialysis to follow proper safety regulations. Unfortunately, patients in the United States who undergo dialysis are at high risk of suffering from injuries due to a dislodged needle or tubing or due to other complications. In fact, the ProRepublica investigation indicates that around one in five dialysis patients die each year. This is almost twice the mortality rate of other industrialized countries who have dialysis systems in place. The high mortality rate and the lack of comprehensive data about the number of dialysis patients injured or killed is symptomatic of a larger problem, according to patient safety advocates. The problem is that there are no federal regulations requiring dialysis clinics to report errors in treatment or to report injuries or death from medical mistakes. This is true even though most dialysis is paid for by the government through Medicare and despite efforts in 2008 intended to make dialysis safer. These 2008 programs mandated clinics incorporate programs to improve patient safety, but are clearly not doing enough. Broader regulations, a requirement to report injuries or deaths, and tougher enforcement of safety standards will be key to making dialysis safer. In the meantime, clinics and patients need to be extremely careful of dislodged needles or tubing to avoid a deadly accident. Families Face Challenges Getting Information In Medical Malpractice Cases, Boston Personal Injury Attorney Blog, December 26, 2012.